About: Contact the Elderly operate a lifeline of friendship organising free monthly Sunday afternoon tea parties for people aged 75 and over, who live alone with little or no support from friends, family or statutory services. The provision of transport is integral to the model as guests are collected from home and driven to tea parties by a regular volunteer driver. There are currently over 7,300 volunteers supporting over 4,500 older people in 560 groups across England, Scotland and Wales. Each tea party group is formed of 6–8 older guests, 3–4 volunteer drivers, a bank of volunteer hosts and a volunteer coordinator. The group visits a different host each month but the volunteer drivers stay the same, ensuring that friendships are formed over time. Older people are allocated to a local group on completion of an application form. The charity accepts referrals from third parties including other charities, healthcare professionals (including GPs and Occupational Therapists), long distance friends and family. The groups are promoted through local print media, by existing volunteers and guests, social services and with leaflets and posters. More recently the charity has been working with the emergency services (particularly the Fire Service) and GPs to reach out to some of the most isolated older people. The charity is funded primarily by trusts (48 per cent) and corporate supporters (27 per cent). The remainder is made up of grants (10 per cent), individual and community giving (11 per cent) and legacies (three per cent). 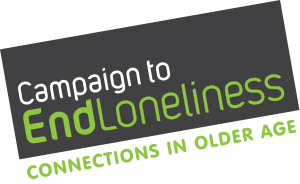 To launch a new Contact the Elderly group and support it for 12 months costs the charity around £5,200; maintaining an existing group costs around £620 per year. Contact the Elderly calculates that if volunteers were replaced by staff the cost of running each group would be approximately £7,000 per year. Almost 80% feel less lonely since joining a group. Who: Supported by trusts, corporate entities, grants and legacies together with individual and community giving.